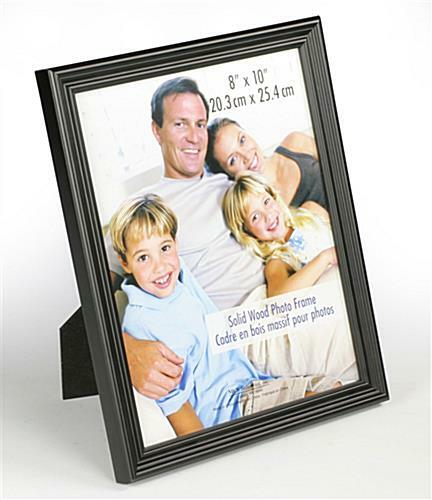 This photograph frame offers traditional styling for all your picture display requirements. 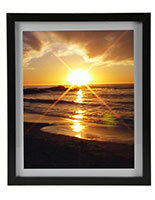 The beveled edges highlight your favorite photos and can be hung on the wall or placed on any level surface. 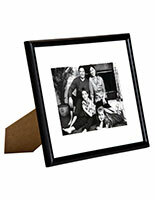 Load your picture from the rear and replace the backer via the swivel clips. 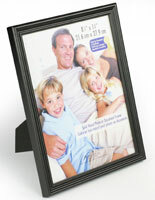 This photograph frame accepts 8" x 10" pictures and is priced most affordably! 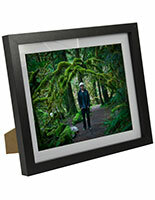 Great looking frames and delivery was extremely fast. Will order from this company again. Thanks so much for the great review, Hussein! We look forward to working with you in the future! It's a nice frame! I ordered the black one! It came in a box with bubble wrap to protect it! I am pleased with the order! Great for the price! Overall the frames were good for the value. Some were a little marked up but nothing major. 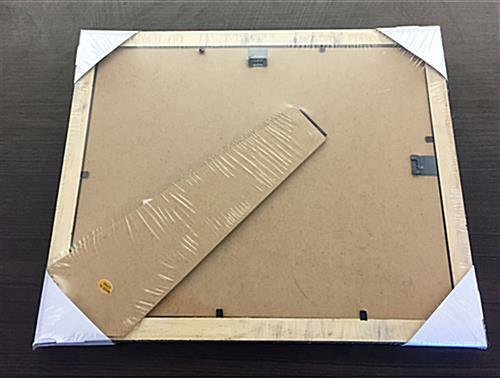 The only downside was the opening to put the pictures in, I thought they were the easy slide opening but they have the tabs that is helpful to use a screw driver or knife to help lift especially if you have a lot to do. They were packaged very well, in separate bubble wrap sleeves and boxed in smaller boxes of 6. The picture frames are great. The package was well protected.